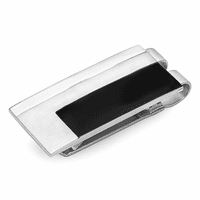 The Enigma money clip does resemble a puzzle with its interlocking pieces of stainless steel and black ion-plated metal! It's on-trend style for today's professional who dresses to impress. 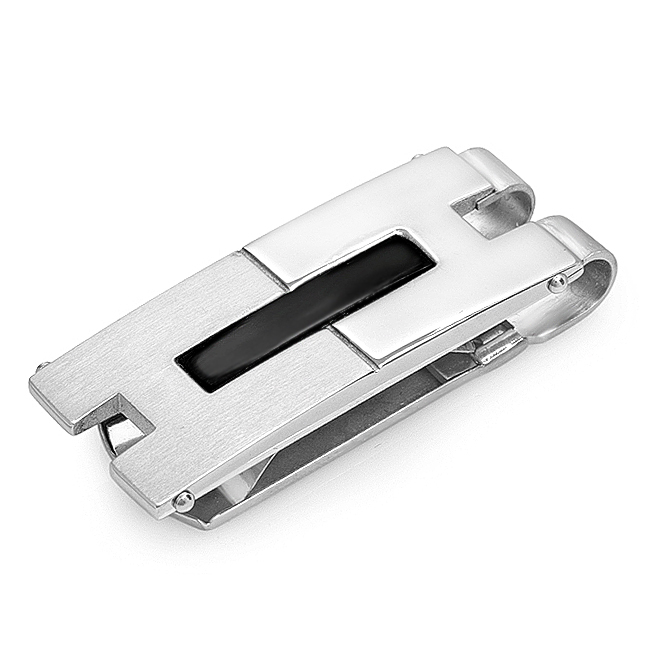 The spring-loaded money clip holds onto 25 folded bills with ease, and the top can be custom engraved with a name or initials to add a one-of-a-kind look that you will love! 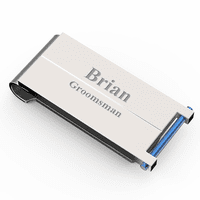 It's a great gift for graduation, groomsmen, Father's Day and for your favorite guy! Dimensions: 2 1/4" x 3/4" x 1/2"
Can I get this engraved? There is no option for this on the page. 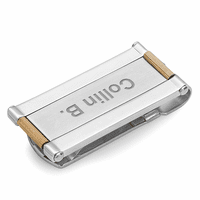 I'm sorry, this money clip is not engravable. I am very pleased with the money clip I purchased. It was even nicer than it appeared on the website and it was in a very nice package. It works great.